One of the major problems in tuberculosis control is strong viability of Mycobacterium tuberculosis (M. tuberculosis) in host under various harsh circumstances, along with the resistance to few antituberculosis drugs available. Among many unresolved questions, one of the important aspects is to discover by which mechanism M. tuberculosis survives during the dormancy period and what are the energy sources on which it survives. A likely possibility is that the fatty acids stored in the host tissue is used by the pathogen as energy reserve in the form of triglycerides (TG), just as hibernating animals and migratory birds are known to do. In fact recently TG inclusion bodies were found in the pathogen obtained from the infected host that could reflect the conditions of dormant bacilli. However, the source of fatty acids remain unclear, it might be possible that fatty acids which are undergoing degradation in host tissue can serve as an energy source to M. tuberculosis. It has been observed that in mycobacterial cell culture, such lipid storing bodies are formed in cells when exogenous fatty acids were provided[1-3]. These TGs serve as an ideal energy source for long-term survival of the dormant pathogen. Developing alternative mechanism for generating energy by M. tuberculosis during dormancy period is an important phenomenon for its persistence in macrophages; however, least is known about the source and nature of fatty acids required for TB inside the macrophages. Although, tubercle bacilli (TB) were long considered to rely solely on anaerobic metabolism. It is known, Isocitrate lyase (ICL) and malate synthase (MS) together form the glyoxylate shunt, which bypass the CO2- generating steps of the tricarboxylic acid (TCA) cycle. The net result of the glyoxylate shunt is the consumption of two molecules of acetyl-CoA to generate one molecule of succinate. Lipids are a source of acetyl-CoA; succinate is a precursor for the synthesis of glucose. Therefore, the glyoxylate shunt allows M. tuberculosis to synthesize carbohydrates from fatty acids. When the TCA cycle and the glyoxylate shunt run simultaneously, fatty acids can supply cells with energy from both, through TCA cycle and precursors for carbohydrate synthesis via glyoxylate shunt. The need for the ICL gene for M. tuberculosis survival during late-stage infection  indicates that due to changing environment bacteria requires to switch its diet dependency from carbohydrate to lipid source. Furthermore, as M. tuberculosis enters into persistence stage within the host, TB starts depending solely on the lipid-rich hostcell debris in evolving granulomas. Hence, it is more obvious that in the absence of an external supply of carbohydrates (as diet) in this new environment, the glyoxylate shunt may supply the sugar precursors required for assembly of the carbohydraterich mycobacterial cell envelope, as well as an alternative energy source. However, it is still an unknown phenomenon to understand the mechanism by which fatty acids generated in the host which may be utilized by TB cells during dormant stage. M. tuberculosis are obligate aerobe, and it has also been well known that M. tuberculosis encounter hypoxic environments in acute diseases as well as in latent infection. The Wayne model has established a link between starvation for oxygen and drug resistance. Under low oxygen tension the bacilli terminates growth and enters into a non-replicating or dormant stage, dormant TB adapts anaerobiosis and maintains viability for extended period of time while waiting for the weakening of the host immune system to produce diseases, moreover, the dormant form of TB was found to be resistant to all conventional antimycobacterial drugs. Bacilli that were disrupted for their respiratory nitrate reductase and isocitrate lyase (ICL), an enzyme of glyoxalate pathway and implicated in the metabolic adaptation to anaerobiosis  showed reduced virulence in mice. It is proposed that under hypoxic growth, M. tuberculosis starts synthesizing triglycerides as a reserve energy source and could use it during and after the dormancy period. However, there is not much known about these mechanisms and we propose to verify this hypothesis by using in vitro hypoxic model and also by using Triolein and Lipolytic protein that we presume their involvement in the synthesis of TG and could be an important for TG synthesis in M. tuberculosis while going into dormancy. We thank Dr. Rajesh S. Gokhale for making this work possible. The authors acknowledge financial support from GAP0092 and OLP1121 of the Department of Science and Technology and Council of Scientific & Industrial Research. Garton NJ, Christensen H, Minnikin DE, Adegbola RA & Barer MR (2002) Intracellular lipophilic inclusions of mycobacteria in vitro and in sputum, Microbiology 148, 2951-2958. Reed, M B, Gagneux S, DeRiemer K, Small P M & Barry C E (2007) The W-Beijing Lineage of Mycobacterium tuberculosis Overproduces Triglycerides and Has the DosR Dormancy Regulon Constitutively Upregulated. Journal of Bacteriology, 189, 2583– 2589. Meena LS & Rajni. (2010) Survival mechanisms of pathogenic Mycobacterium tuberculosis H37Rv. FEBS J 277 (11): 2416-2427. Meena LS & Kolattukudy PE (2013) Expression and Characterization of Rv0447c product as the methyltransferase involved in tuberculostearic acid biosynthesis in Mycobacterium tuberculosis, Biotechnol Appl Biochem 60(4), 412-416. Meena LS, Chopra P, Vishwakarma RA & Singh Y (2013) Biochemical characterization of an S-adenosyl-L-methionine dependent methyltransferase of Mycobacterium tuberculosis, Biol Chem 394(7), 871-877. McKinney JD, Bentrup KHZ, Munoz-Elias EJ, Miczak A, Chen B, Chan WT, Swenson D, Sacchettini JC, Jacobs Jr WR & Russell DG (2000) Persistence of Mycobacterium tuberculosis in macrophages and mice require the glyoxylate shunt enzyme isocitrate lyase, Nature 406, 735-738. Flynn JL & Chan J (2001) Tuberculosis: Latency and Reactivation, Infect Immun 4195-4201. Wayne LG & Hayes LG (1996) An in vitro model for sequential study of shiftdown of Mycobacterium tuberculosis through two stages of nonreplicating persistence, Infect Immun 64(6), 2062- 2069. Weber I, Fritz C, Ruttkowski S, Kreft A & Bange FC (2000) Anaerobic nitrate reductase (narGHJI) activity of Mycobacterium bovis BCG in vitro and its contribution to virulence in immunodeficient mice. Molecular Microbiology 35(5), 1017- 1025. Monu, Meena P, Meena A & Meena LS (2015) Imperative role of Fibronectin binding proteins in cell adhesion and Invasion: An overview. 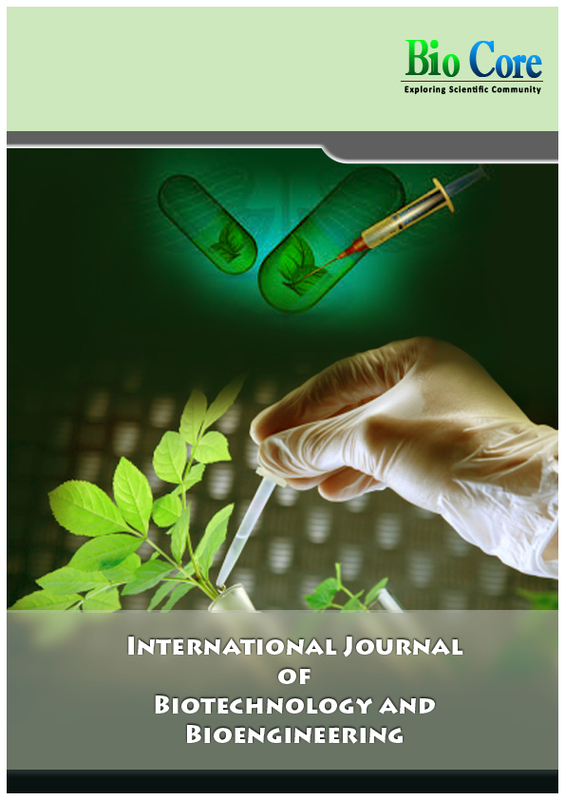 Advanced Research Journal of Biochemistry and Biotechnology 2 (1), 31-40. Monu & Meena LS (2016) Roles of Triolein and Lipolytic protein in the pathogenesis and survival of Mycobacterium tuberculosis: A novel therapeutic approach. Appl Biochem Biotechnol 178(7), 1377-1389. Mishra K C, Chastellier C D, Narayana Y, Bifani P, Brown A K, Besra G S, Katoch V M, Joshi B, Balaji K N & Kremer L (2008) Functional role of the PE domain and immunogenicity of the Mycobacterium tuberculosis triacylglycerol hydrolase LipY. Infection and Immunity 76, 127-40.